Seniors are setting records and spinning platters well into their ninth and tenth decades. 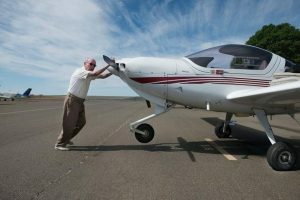 This month, a California man flew into the Guinness Book of World Records as the oldest licensed pilot in the world, flying solo. A centenarian in Japan set a world swim record in the 1500 meter freestyle in her age group – after taking up swimming in her 80’s! 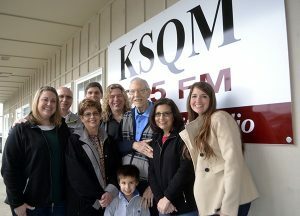 And finally, ‘Classy’ Bob Massey of Sequim, Washington is still spinning platters and playing favorites every morning, after 70 years on the air around the country as a local deejay. 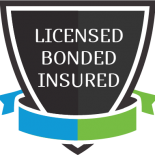 Whether your loved one is flying in the clouds, swimming like a champ, or ‘just’ living a happy, active life, the support of caregiving and companion homecare can be the right kind of boost they need. Cameron Park, CA’s, Pete Weber is 95, and taking aim at the Guinness World Record for oldest solo pilot still flying in the world. Pete flew in the Air Force in World War II and Vietnam, and on March 30th he took to the skies over Placerville to take aim at the record. Guinness requires video and still pictures of the attempt, as well as expert testimony, so Pete took his 70-year-old son, Pete Weber III, also a pilot, up in the plane with him to document the flight. The oldest pilot ever was a Colorado man who flew at the age of 105, but Pete is targeting a newly established category: oldest qualified pilot still licensed and flying solo. This puts him in a rare group: only 106 pilots over age 90 had valid medical clearances as of June 2013, said the Federal Aviation Administration’s Pacific Division. Pete’s flight only lasted 20 minutes, but he plans to keep flying, and keep raising the bar on the record. This month in Japan, 100-year-old Mieko Nagaoka set a Guinness World Record in the 1,500 meter freestyle swim in her age category. Competing in the 100 – 104 year old category, Mieko finished the course in just under 76 minutes, and while that may be 70 minutes slower than the global record held by an 18-year-old American, Mieko only took up competitive swimming 20 years ago. As of September 2014, Japan had nearly 59,000 centenarians, meaning 46 out of every 100,000 people in the country is 100 or over. In fact, 103-year-old Hidekichi Miyazaki, aka “The Golden Bolt”, set a world record for the 100-meter dash in the 100 – 104 year category, at just under 30 seconds. (Compare that with the current men’s world record of 9.58 seconds, set in 2009 by Usain Bolt of Jamaica.) It’s clear that the only numbers these super-seniors care about are counted in seconds. ‘Classy’ Bob Massey turned 90 this year, and when he did, he became the oldest broadcaster in the United States with a regular show. He plays songs from way back every morning, 9am to 12pm, Monday through Friday, and sticks to the hits and favorites from the 40’s, 50’s and 60’s. As a teenager, he had a studio in the basement of his house, and when he joined the Army in World War II, he ended up at Armed Forces Radio. While he’s adapted to CD’s and computers from his origins in vinyl and turntables, he steadfastly refuses to play rock’n’roll. His show is called “The Best Music Ever Made”, after all, and he has no plans to hang up his microphone any time soon.